In Jacksonville, dental surgery may be a necessary medical intervention that is performed as a stand-alone procedure or accomplished in conjunction with other aesthetic or cosmetic procedures. For example, a problematic tooth may require an extraction due to medical issues such as disease, trauma or chronic infection. Because of the dental health issues involved, tooth extraction may be mandatory to protect the patient's overall health condition. Thus, dental work performed as an emergency surgery may require additional cosmetic surgery in preparation for implants, crowns, veneers, bridgework or dentures. The thought of dental surgery can cause some patients to experience unnecessary stress and worry. So, never hesitate to express your concerns. At the Burgess Center for Cosmetic Dentistry, we always want you to feel comfortable about your decisions. Another common cause of surgical intervention is impacted Wisdom teeth (or third molars). These large teeth at the rear of the upper and lower bridge are typically the last teeth to develop and are often slow to erupt. By the time a patient's jaw stops growing, usually in his or her late teens or early twenties, it may become evident that there is no room for the four additional molars. In many cases, these teeth will be impacted or non-functioning due to misalignment created by the overcrowding. Upon visual inspection, our dental surgeon may find signs of inflammation, infection, gum disease or severe displacement of other teeth. Since these teeth are impossible to straighten and may be providing little or no service to the patient, it may be prudent to remove the nonfunctional teeth to aid in maintaining good oral health. If a tooth is exposed and can be removed in one piece, dental surgery can be usually be performed at our office using a local anesthetic and forceps. The post-operative prognosis is very good for healthy individuals and a quick recovery without complications is normally expected. When extracting a problematic tooth requires cutting through the gum tissue, breaking the tooth into pieces for extraction, or removing portions of the boney structure surrounding the tooth, our dentist will most likely recommend a specialist to perform the oral surgery. Typically, no post-operative procedures, such as a dental implant or a partial bridge, are required after malfunctioning Wisdom teeth are removed. 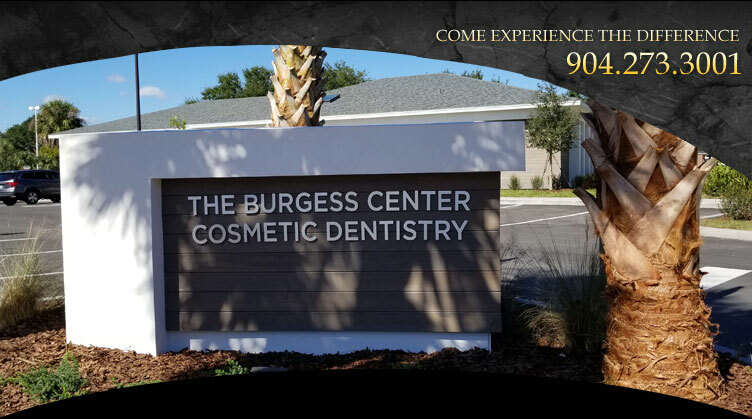 If you would like to learn more about any dental surgery, contact the Burgess Center for Cosmetic Dentistry at (904) 273-3001 for a consultation.